The Power of the Home Language – Remind family members of the importance of speaking to their children in their home language. All language is rule bound, redundant, and highly predictable. If children build a rich control of their native language the school can use this foundation of language learning to support the development of the English language. Value and Utilize Students’ Home Languages During Teaching and Learning Opportunities – When the class is fortunate to have more than one person (either teacher or child) who speaks the home language of the ELL then the student can use her first language to practice what she wants to say before stating thoughts in English. A student can also ask for clarification of directions in his native language or can seek support in learning how to say a particular word or phrase in English. Create Numerous Opportunities for Talk – Classrooms should be places where meaningful student talk and student listening is fostered and encouraged. Providing these opportunities will allow all students to build on their knowledge of English vocabulary and how the English language works. One of the basic tenets of Reading Recovery is that children take different paths to literacy learning. Teachers must meet the child where he/she is and find ways to take the child into new learning. This principle applies very well to the teaching and learning of English Language Learners as they are developing their linguistic competence in English. Engage children in conversation and let them do much of the talking. Most valuable are conversations over “shared experiences”—something the child noticed in the hall, something the teacher observed in the child’s classroom, or ideas about shared books. Recognize the importance of children listening (not just talking, reading, and writing), as listening is how children get their input of new language; the language they hear from the teacher is their source of new language. Understand the value of reading to children from books that have language structures a bit more complex than their own. Carefully review the books they select for children and consider what parts might require more explanation during the book introduction, for instance unknown concepts or new vocabulary that children need to grasp in order to access the meaning of the whole story, or language structures that may be outside the child’s control. Recognize the importance of repeated practice of structures (in particular of idiomatic phrases) so they plan to have the child hear and use the structures in the book. 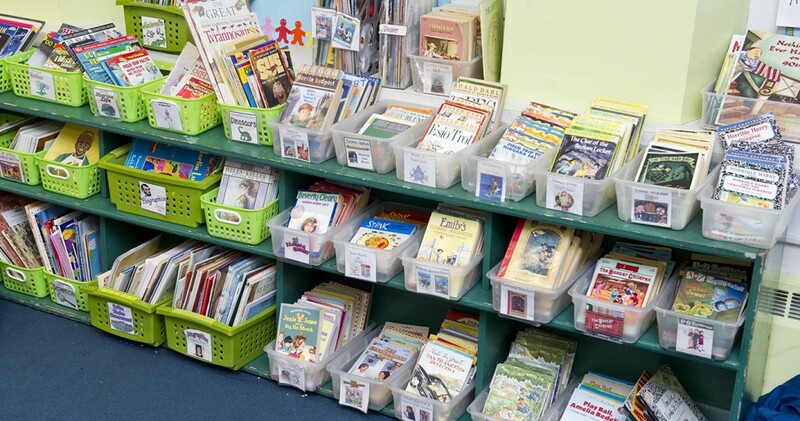 Try to pay attention to culturally relevant books during books selection, as it is important to build on the familiar to give access to the new. Welcome approximations and don’t focus too much on accuracy as they realize that errors come from the child using what he knows to try to problem solve; usage of correct forms will occur over time. Emphasize the value of articulation to children as they think about sounds and try to distinguish between them. Understand the importance for ELLs having more “wait time” as it may actually take them more time to think as they’re contending with another language system. Appreciate that developing language takes time so they negotiate for more oral language in the classroom. In supporting the learning of English Language Learners, it is critical for teachers to avoid positioning these learners as deficient—after all, knowing another language is a “resource” not a problem. By honoring the English Language Learners’ attempts to extend their learning into new territory, teachers build a sense of agency in these learners and help them construct a positive identity that allows them to take control of their own learning. Patricia R. Kelly, “Working with English Language Learners: The case of Danya,”The Journal of Reading Recovery, Fall 2001, Vol. 1, No. 1, pp. 1-11. Judith C. Neal, “Teaching for Comprehension and Language Development of English Learners: Insights from Reading Recovery,” in Achieving Literacy Success with English Language Learners: Insights, Assessment, Instruction. Edited by Cynthia Rodriguez-Eagle (pp. 85-108). 2009. Worthington, OH: Reading Recovery Council of North America. Cynthia Rodriguez-Eagle & Annette Torres-Elias, “Refining the Craft of Teaching English Language Learners,” The Journal of Reading Recovery, Fall 2009, Vol. 9, No. 1, pp. 58-59. Should we serve English Language Learners in Reading Recovery? Shouldn’t we wait until the English Language Learners become proficient in English first? Having witnessed the success stories of English Language Learners in Reading Recovery, I’m very puzzled by these questions. Based on the evidence from research that documents the positive impact of Reading Recovery on the literacy learning of English Language Learners teachers should ensure that English Language Learners are not excluded from service in Reading Recovery. Provides rich opportunities for meaningful language interactions between the child and a competent adult speaker of English. Allows the teacher to carefully and systematically build upon and extend the child’s control over language structure to support his reading and writing. Allows for daily reading and writing connected text which exposes the child to new vocabulary, concepts, and language structures. Last year I had the pleasure of working with Pedro, a precocious first grader, who spoke Portuguese fluently and was learning to speak, read, and write in English. A supportive classroom and the supplementary Reading Recovery lessons helped him build his language skills at a faster pace compared to many of his classmates who did not have the opportunity of one-to-one instruction. Pedro was eager to read and converse in English and his language interactions with me around the stories he was reading and writing fostered his oral language development, which in turn helped support his literacy learning. Reading familiar stories with expression was his favorite activity and he was always curious to find out what new book I would be introducing to him. He couldn’t wait to read about the Bear family adventures and Mrs. Wishy-Washy’s troubles with the farm animals. Writing was harder for him because he had challenges with composing since his command of English language structures was just emerging. However, his exposure to massive amounts of reading helped him take on the language of books and soon enough he started using what he knew in reading to compose stories of increasing complexity, which he wrote down with my help. Pedro finished the year reading above grade level (Reading Recovery level 20; level K on the Fountas & Pinnell leveling system). His writing had grown stronger too. He could compose and write at least two long sentences using vocabulary and literary language structures similar to the ones in the books he was reading.